The job of 911 Dispatcher is one of the most essential positions we have here at the ACSO and is vitally important for public safety. It’s a demanding but incredibly rewarding position — our dispatchers help save lives 365 days a year. 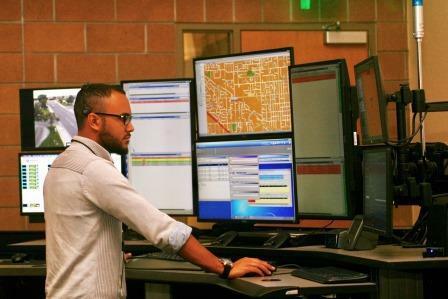 While the selection process is the same for all dispatcher applicants, those transferring from other law enforcement agencies with current (within the last three years) dispatcher experience may receive a higher starting wage. View our wages plan. Level II = Two to four years of current experience working in public safety emergency communication focused center providing law enforcement, medical and fire dispatch services. Level III = Four or more years of current experience working in public safety emergency communication focused center providing law enforcement, medical, and fire dispatch services.